Africa – being the second – largest continent in the world, constitute about 15% of the world’s human population. Business setup and foreign investments have been lacking over the past few decades, reasons for which include low regional education standards, unstable macroeconomic environment, poor governance and inaccessibility due to the poor transport and telecommunication networks. However, trailing behind Asia, Africa is the second fastest growing region in the world today. It is projected that the Africa’s economy will continue to grow by 5.4% this year. Recent developments and improvements in the region have dramatically improved the prospects. For example, The 2013 Africa Transport and Infrastructure Show, held in Johannesburg, brought infrastructure specialists and experts to discourse on the solutions to boost the transport sector and its economic and social impact on the continent. Inflation was brought under control, increase in political stability, telecommunications, banking, and retail are all flourishing. These structural changes have helped create an environment in many African countries that has invigorated markets and commerce, and is increasingly conducive to business and investment. Governments have taken action to end regional conflicts, improve macroeconomic conditions, and attempt microeconomic reforms to create a better business climate are all contributing to a sustained and sustainable growth path for Africa. 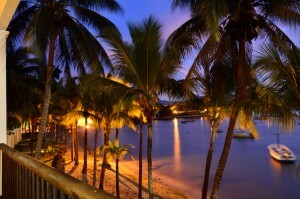 Mauritius is one African jurisdiction that attracts foreign investors and entrepreneurs. Mauritius is located at Southern Africa. The economy is based on tourism, textiles, sugar, and financial services. Mauritius has no exploitable natural resources and therefore depends on imported petroleum products to meet most of its energy requirements. Mauritius is ranked eighth in 2012 Index of Economic Freedom. Its Gross Domestic Product (PPP) estimate was at $20.200 billion and GDP (PPP) per capita income over $15,591 in 2012, one of the highest in Africa. Recent Improvements in the processes of doing business in Mauritius include: improved access to credit information and making property transfers faster by implementing an electronic information management system at the Registrar-General’s Department. A corporate structure popular with foreign entrepreneurs setting up their company in Mauritius is a Mauritius Global Business Category 2 (GBC2) Company. This type of company is exempt from all taxes on income derived outside Mauritius. There is no income tax in Mauritius. A GBC2 can be 100% foreign owned. A minimum of one shareholder and one director is required to form a Mauritius GBC2 Company and corporate directors are permitted. A Mauritius GBC2 Company has no minimum capital requirements. Read more about setting up in Mauritius on our website or get in contact with us to learn more.